My, oh, my! Have I got a killer post for you today! 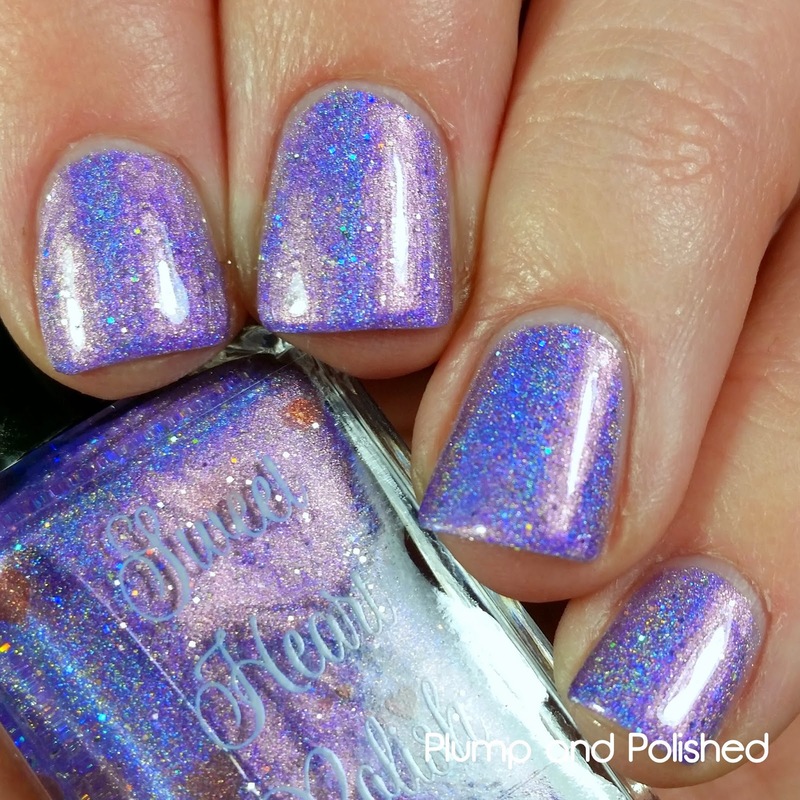 Addicted to Holos is a brand new bi-monthly indie box focused solely on, you guessed it, holos! 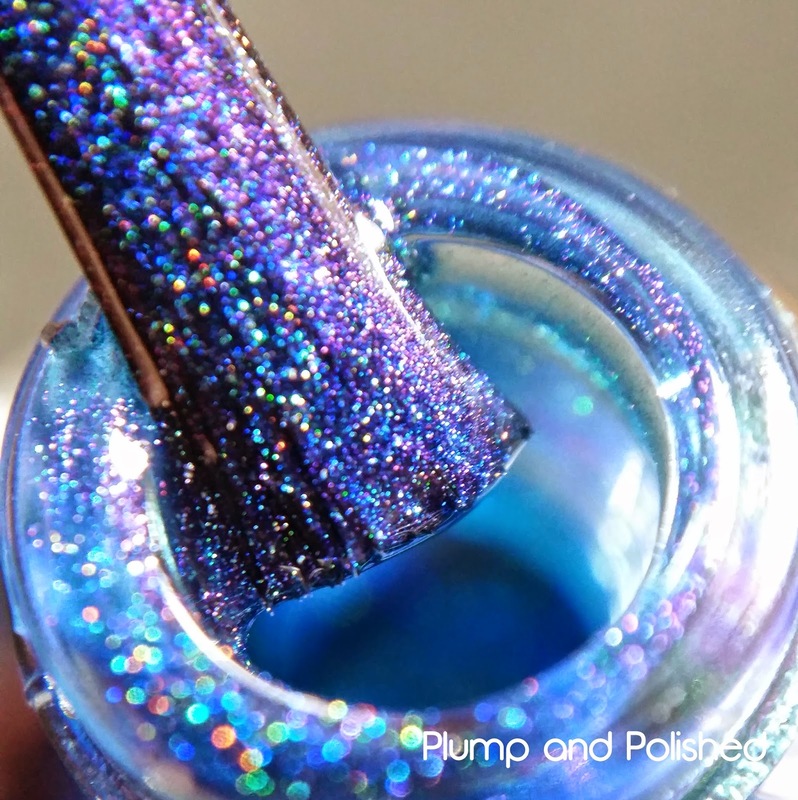 Five awesome brands are coming together to bring you a collection of limited edition holographic polishes that you can only get in this box so get them while you can. Keep reading for all the details about how you can get in on these, too! 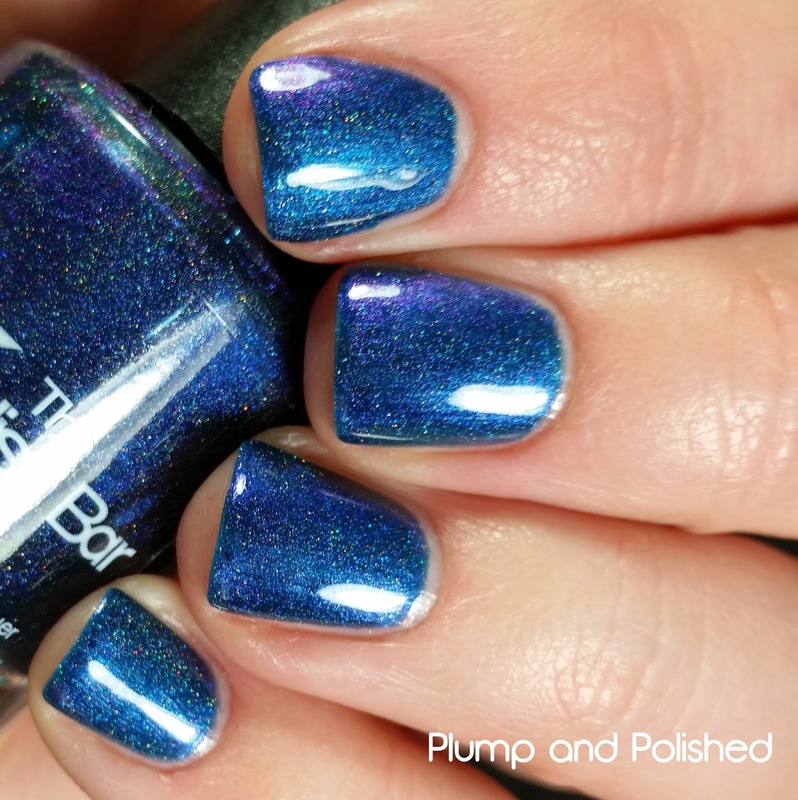 This polish practically applied itself. I used one easy coat for full coverage. 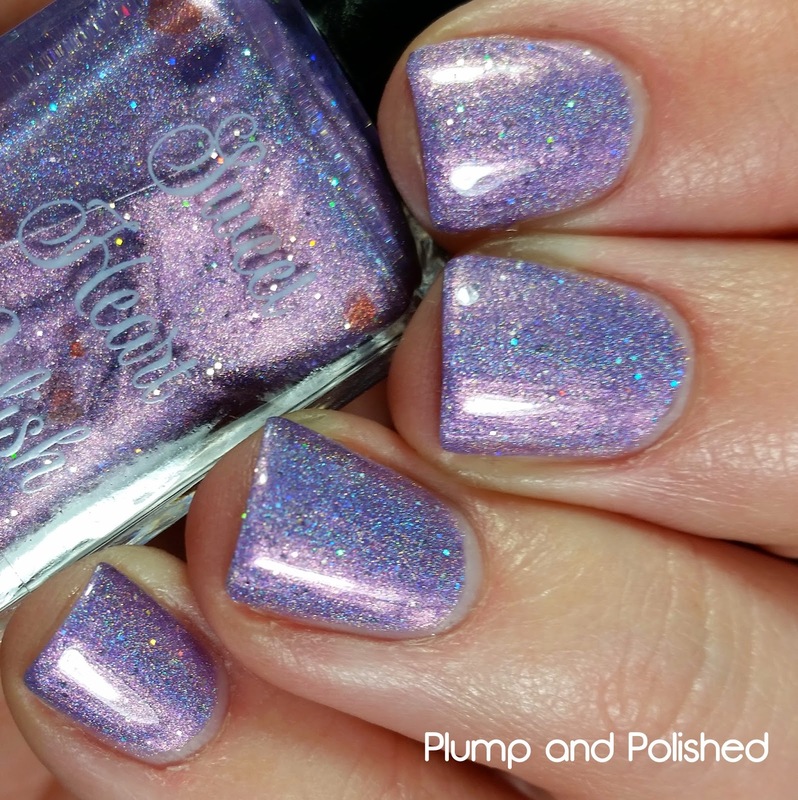 The microglitters might make the polish seem a bit textured so I'd suggest a good top coat to give it this glassy look. I'm smitten with this. It's creamy and super opaque. The little microglitters really set it off. The first coat was a bit sheer, but the second one deepened the color and made it perfect. It was surprisingly smooth and needed just one coat of top coat to finish it off. 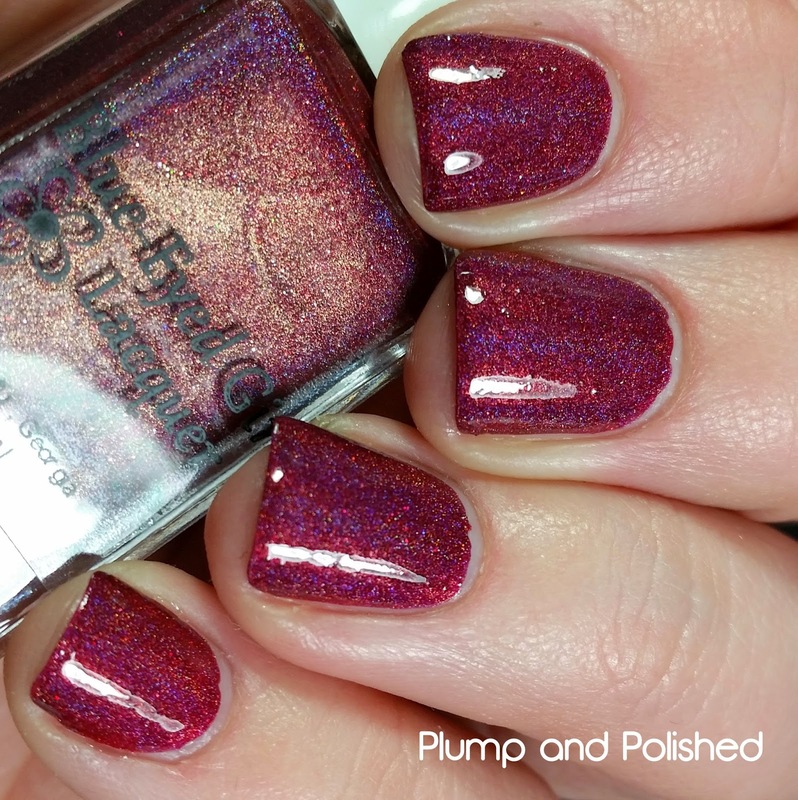 This baby sparkles like no other. 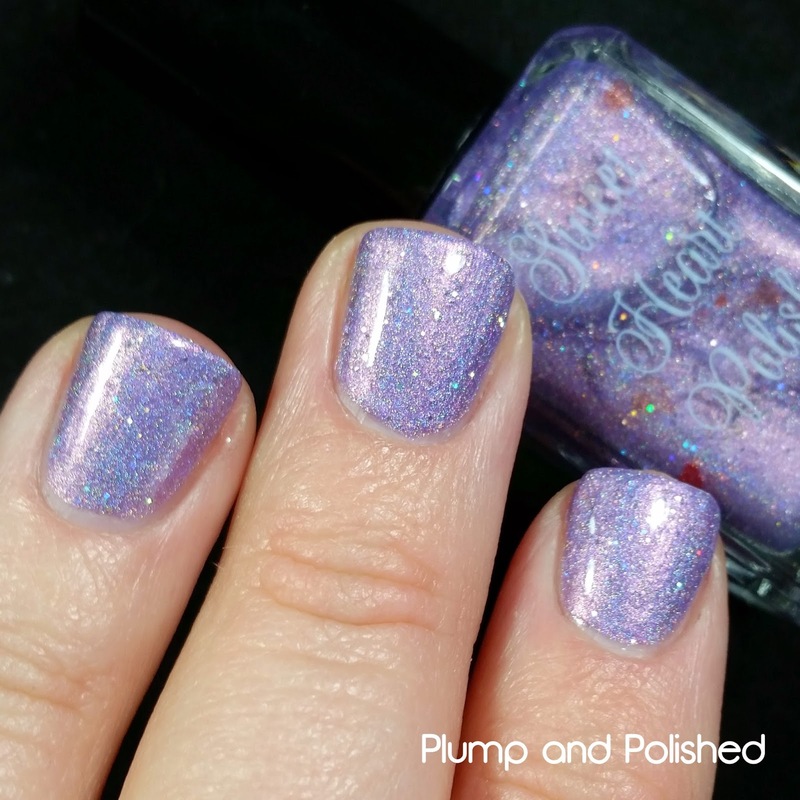 In the bottle, I was just kind of "meh" about it, but it was a whole different story once I saw it on the nail. 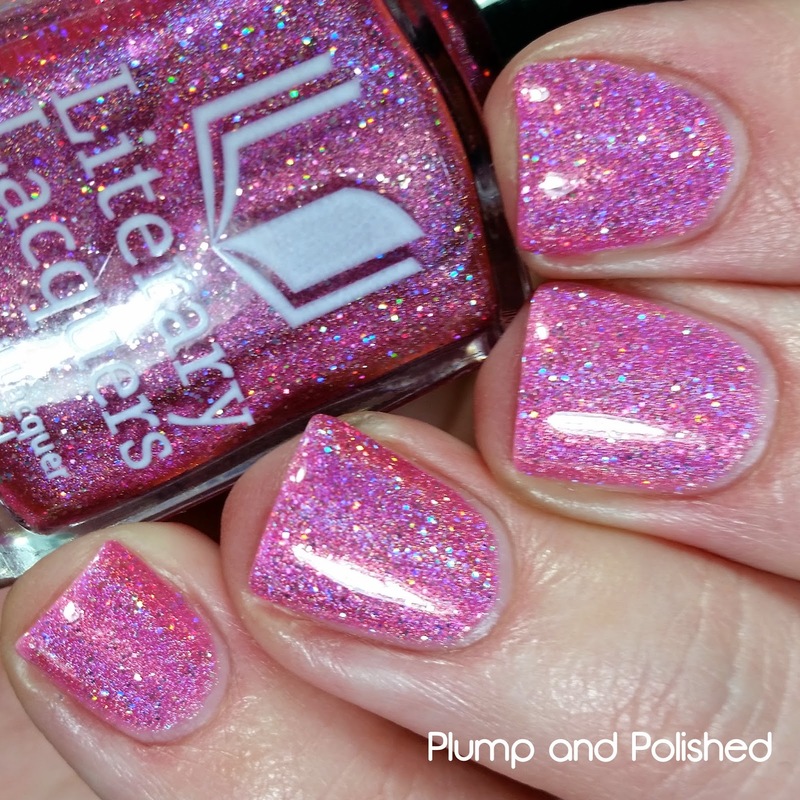 Anyone who loves pink needs it! Application was good, but I thought it was looking a little thin after two coats. The third one did the trick for me. If you apply it a little more heavy handed than I did, two coats should be fine. One coat of top coat finished it off. 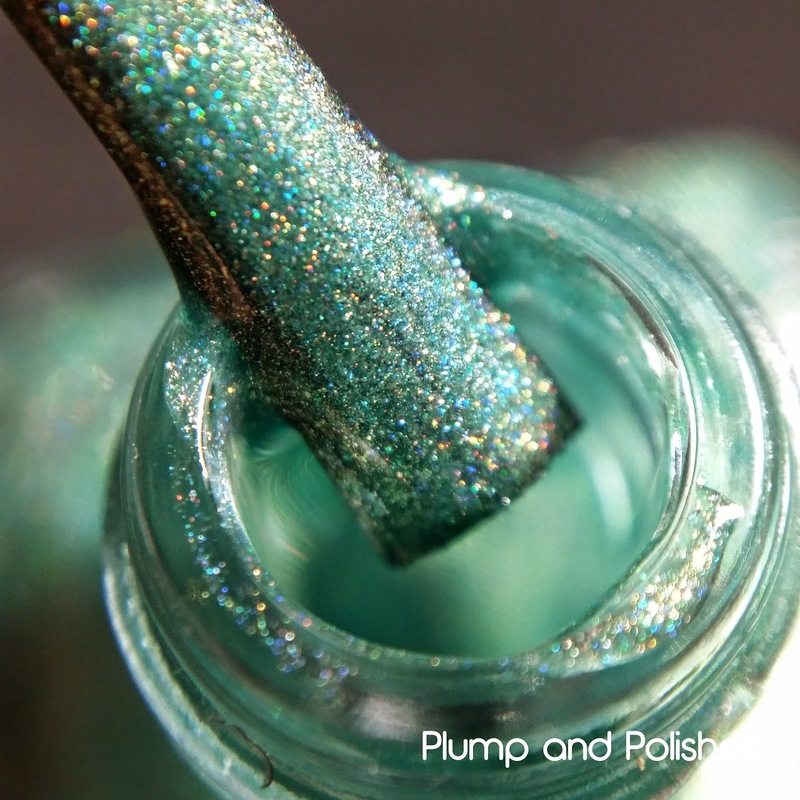 I love green polish and this falls right in line with one of my favorite shades for spring. It's bright and cheery. The golden flash isn't overpowering at all. I used three thin coats to build this up. 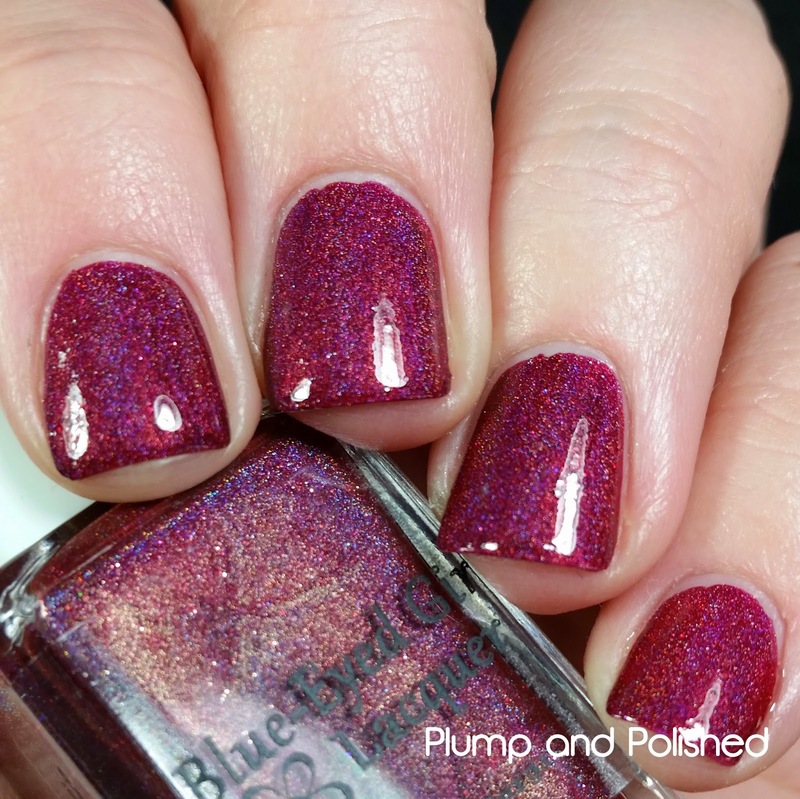 Two coats was okay, but the third one really deepened the color and made the duochrome show up more. 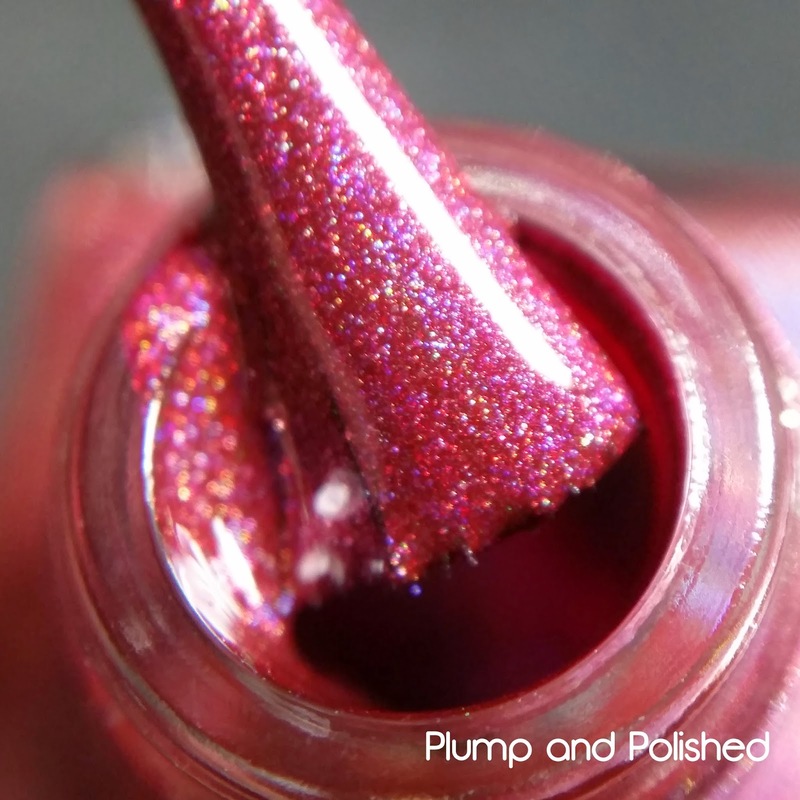 It was super glossy on its own, but I added top coat. This shifty beauty is something else. I'm in love with it! In real life, it shifts blue, purple, and teal. I tried so hard to get it to show in pictures. I took over 40 and failed. Trust me, though! This is a winner! I found this one to be the sheerest of the group. 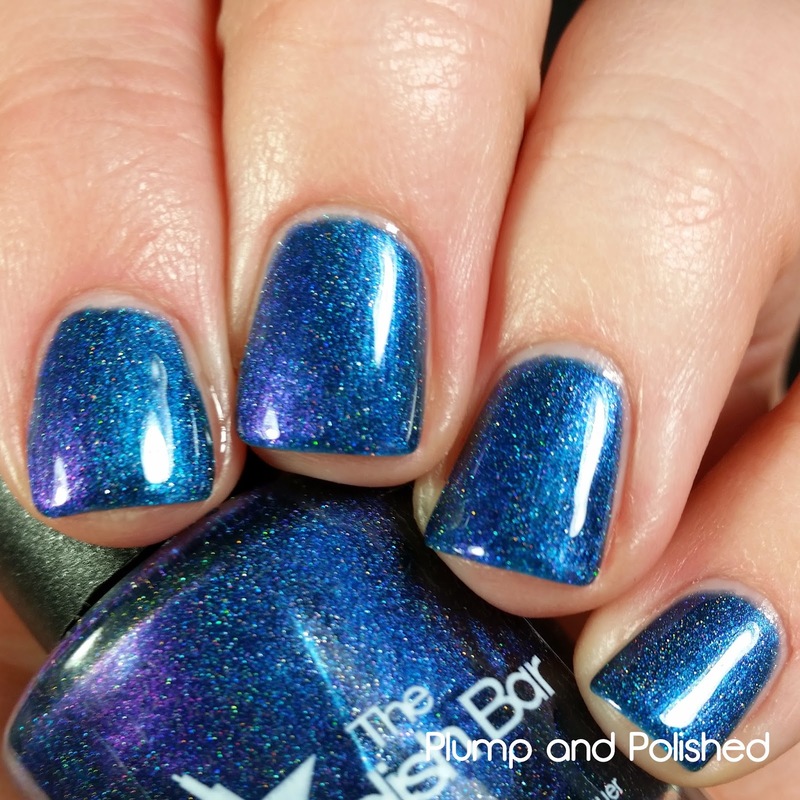 Three coats was good, but the fourth coat gave me what I was looking for. 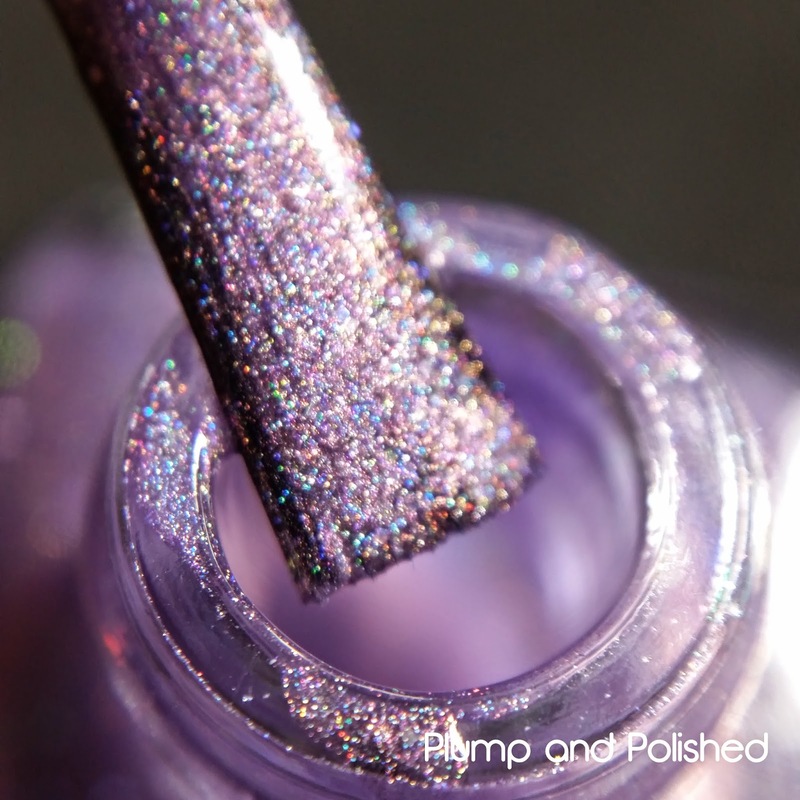 You'll definitely want to use a good top coat to finish it off because the silver glitters can dry a little textured. 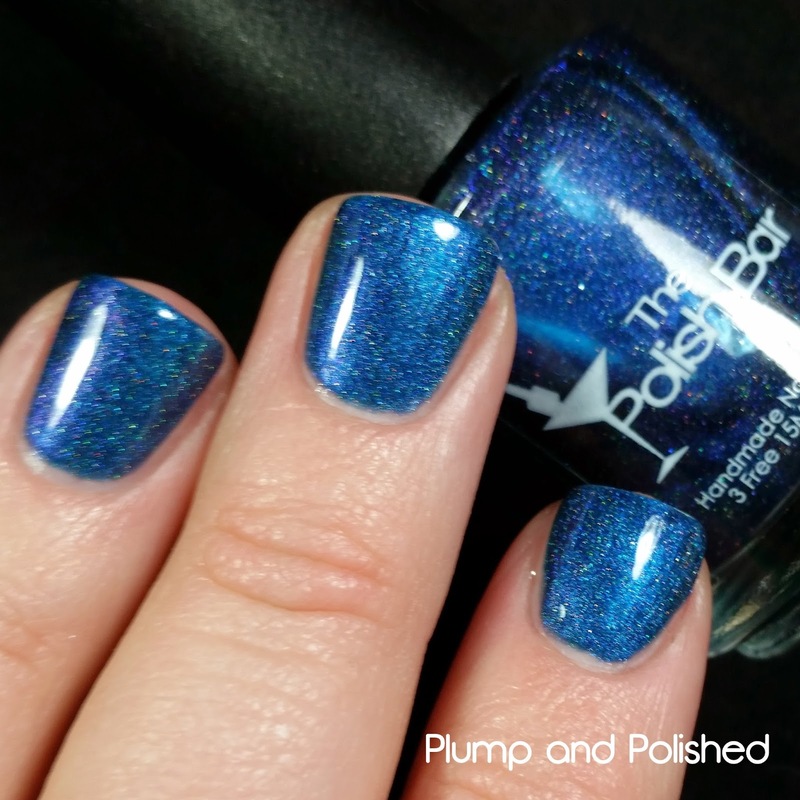 The linear holographic in this is so strong that it gives the polish a blue flash. I love that the microglitters are squares. It's hard to see, but they're there. Whew! That's all of them. 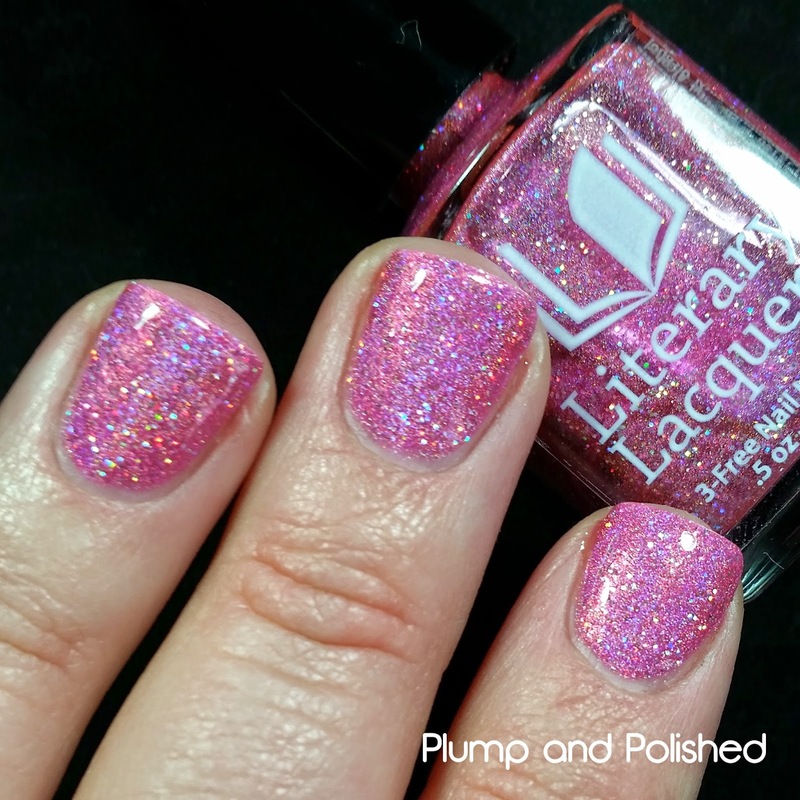 It was my first time working with Literary Lacquers and The Polish Bar and I couldn't have been more pleased! 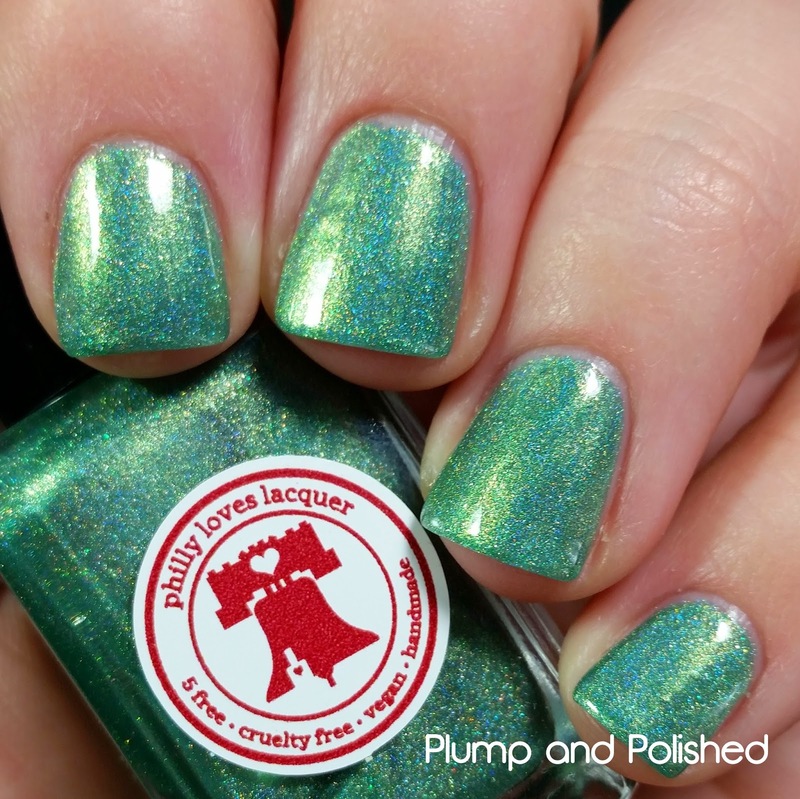 As always, Blue-Eyed Girl Lacquer, Philly Loves Lacquer, and Sweet Heart Polish did an outstanding job. 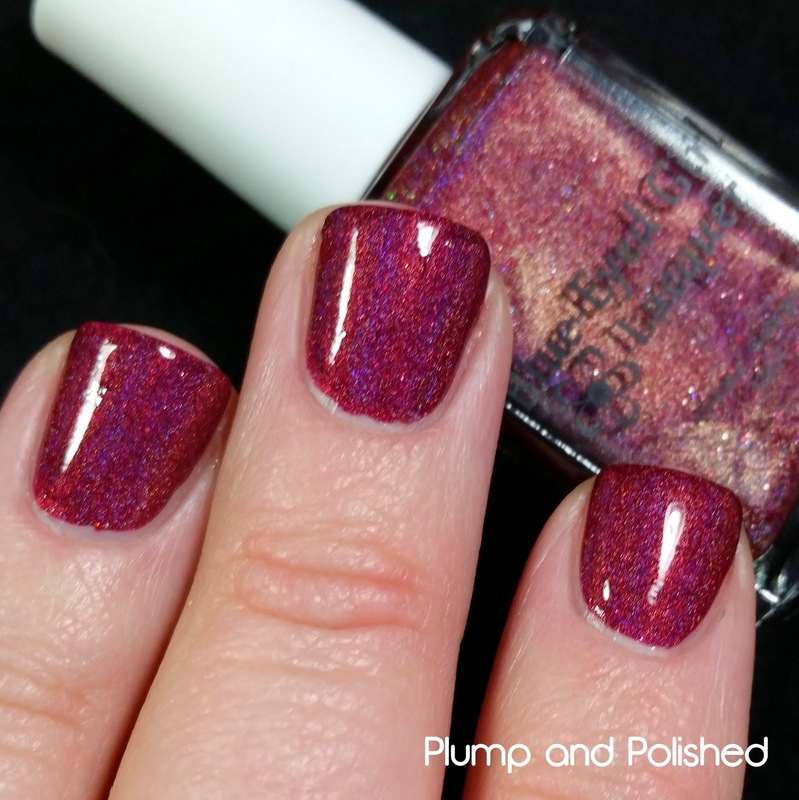 This indie box is perfect for those of us who truly are addicted to holos! 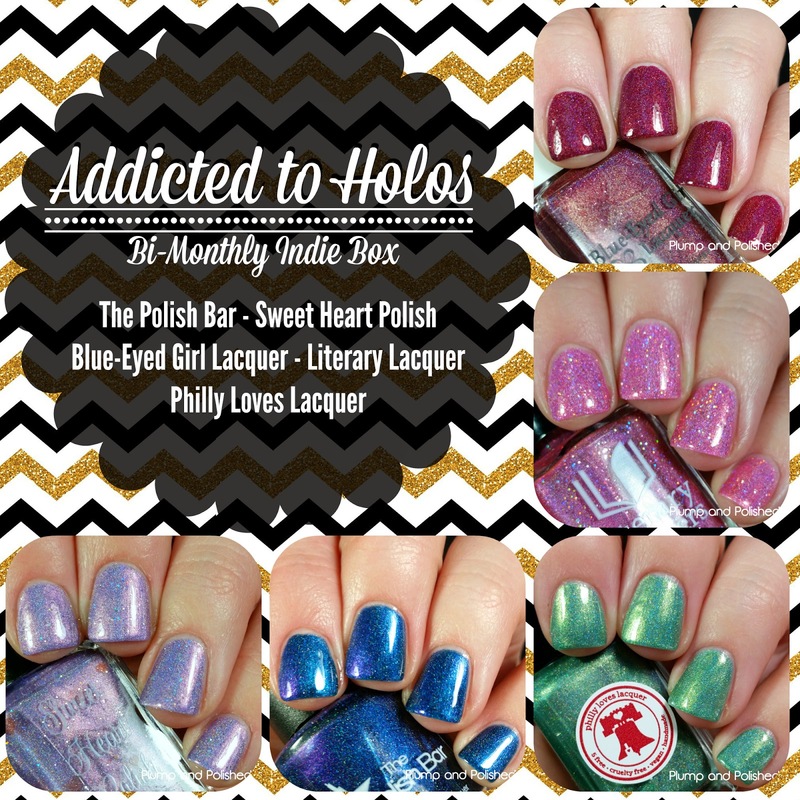 Addicted to Holos Indie Box will be up for preorder starting February 9th through February 16th. Once the preorders close, boxes will ship out without two weeks. 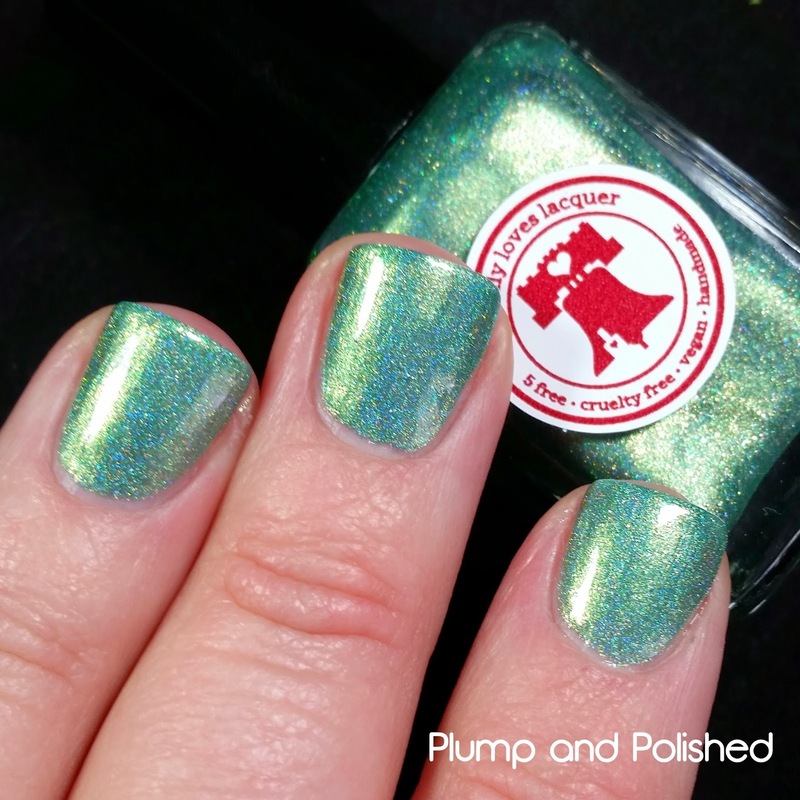 The Addicted to Holos Box will cost $60 USD plus shipping. Shipping is open to both domestic US addresses as well as international addresses. I try my best to spend your money! You can live with me when you're homeless. Oh my dear God--These are fantastical! Stop it right now. I need these. I'm sorry, bank account. Oh! 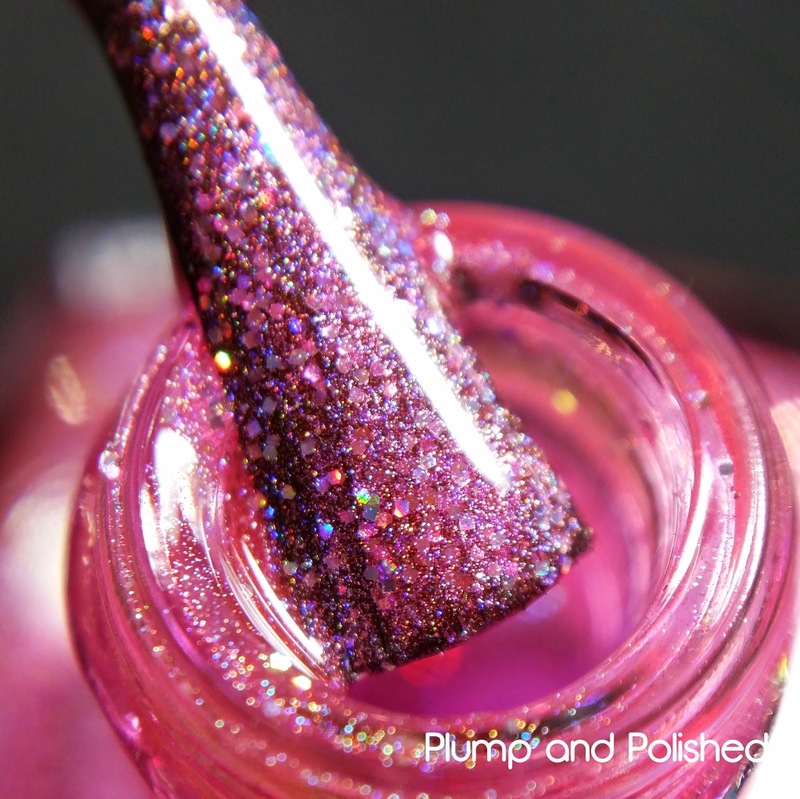 So these polishes will be in April's box and I preorder them in February? Am I being really dense here?? Pre-order is in February and the boxes will be shipped out around the end of the month. In April, a new set will be available.